One must learn everything possible from the darkness in order to challenge it. And within that darkness the strangest of heroes are born. 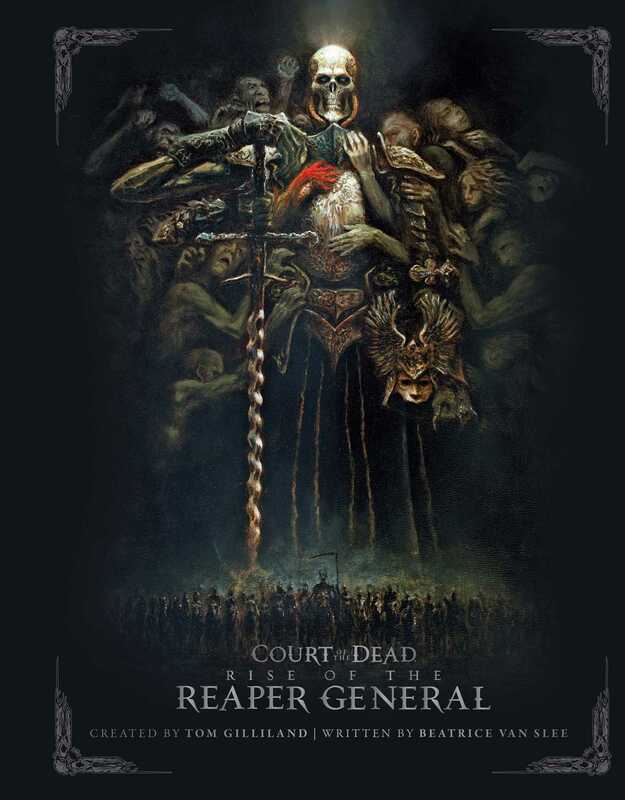 Sideshow is proud to exalt one such champion in Court of the Dead: Rise of the Reaper General, a vivid, uniquely told novel featuring gorgeous illustrations and a gripping, imaginative story. Readers will embark on an unpredictable journey through the darkly bizarre and magical Underworld—and perhaps be inspired to join the Court in its struggle against the corrupt celestial realms that rule us all. In the dark fantasy universe of Court of the Dead, the savage war between Heaven and Hell is a futile stalemate fueled by the souls of mortals, whose purpose of existence has been twisted into nothing more than raw material for the harvest. Yet in seeking to transcend his grim duty in order to return meaning and inspiration to the cosmos, Death and his Court are cast as humanity's unlikely saviors. Into this dramatic setting are born Demithyle and his fellow reapers, whose first task is to confront the ever-advancing scourge of the vicious bael reiver hordes, ravenous and destructive wraiths who threaten to destroy the Underworld and end the Court's struggle before it begins. Join Demithyle as he evolves from humble foot soldier to reluctant captain, encountering many strange and wondrous characters and places, and finally accepts the mantle of the exalted Reaper General in order to lead to victory the Underworld's last, best hope for salvation.